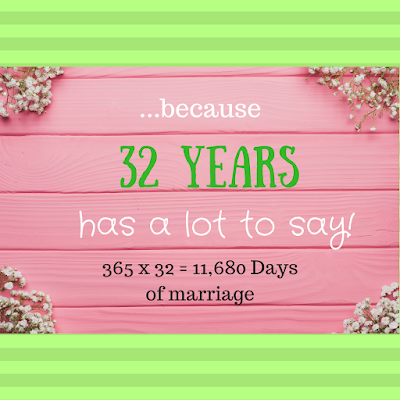 I have been married 32 years. Eleven thousand seven hundred twenty-eight days to be exact. My parents are working on year 60. I hope Steve and I make it that long. The marriage will. I'm worried about our bodies. Thirty-two years has a lot to say. Many days of lessons with lots of learning and many days of fun with loads of laughter. I named the lessons first because without them there isn't much fun and if you don't learn from the lessons, there isn't much laughter. Marriages have different challenges. The challenge I found to be most difficult is becoming one. Mark 10:7-8 For this cause shall a man leave his father and mother, and cleave to his wife; And they twain shall be one flesh: so then they are no more twain, but one flesh. I've never read in the scriptures where a woman should leave her father and mother. If you know the verse, please tell me. I'm an only child. Not leaving and living 50 yards from my parents pleases me. That's the truth. Luckily, my husband likes it too or he's grown to like it! Some may say distancing myself may have made the "twain" easier? We will never know. His Christian thoughts aren't exactly mine. Differences in beliefs is confusing and frustrating. Family traditions and values don't all align. He feels like I give my family more time than his. My ideas are more important to me than his. I don't listen to him. I won't let him help me. He don't want to help me. He expects to eat my cooking every day. He thinks I should be able to manage the bills more effectively. He watches too much Georgia football. Early on? Did I say early on? I still deal with a few of these. We are twain.....now. After 32 years. My experience and longevity begat patience. Unity does not happen overnight. Brothers and sisters born to the same parents with everything exactly the same rarely achieve unity quickly if at all. I'm never too hard on myself or my spouse because we're both giving the union our best. Forgiveness then forgetting. We allow each other to make mistakes. More importantly, we give each other time to learn from our mistakes. We give each other room. We TALK to each other. My spouse still can't read my mind. If things weren't working, we despised a plan together to try something new. Above all, we are forever committed to making our marriage work. If you're always giving 200% and getting 25%, you'll be exhausted. 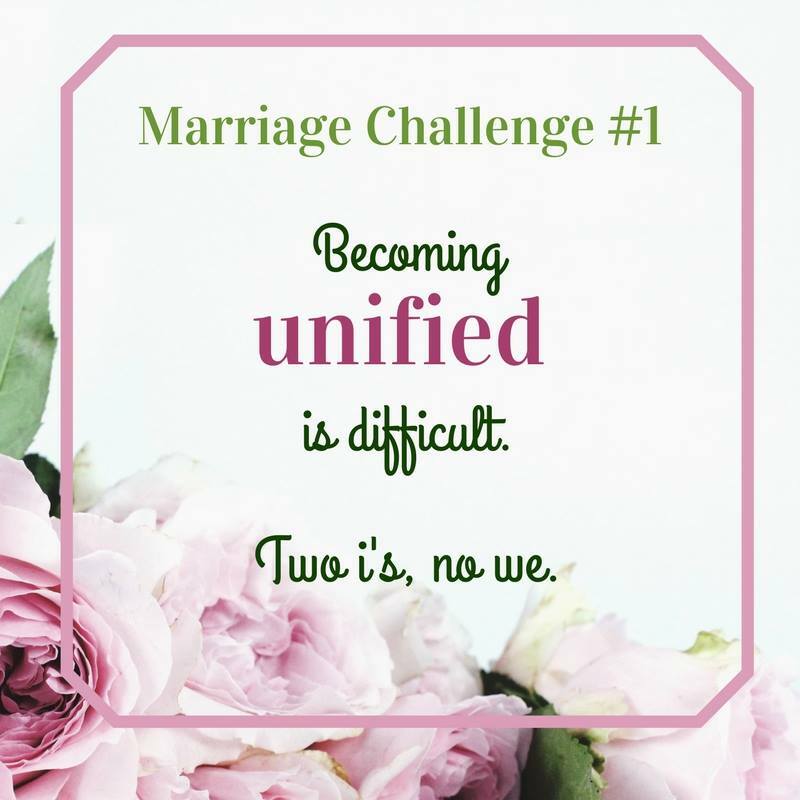 God purposed marriage as an equal partnership. You should never feel alone. Unity is not singular. 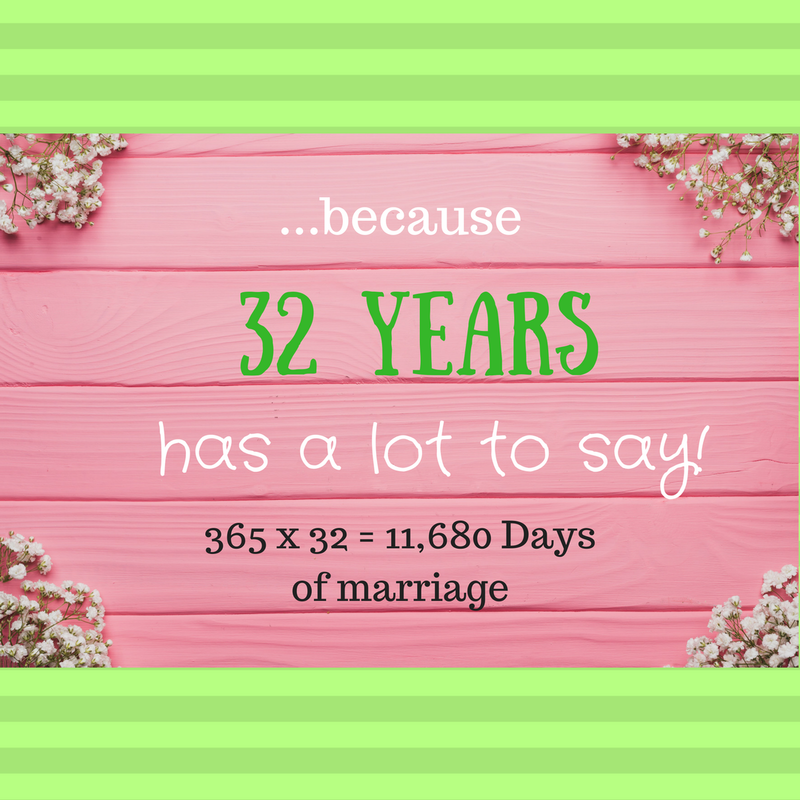 How have we made it 32 years? Improving one's self. Keeping each other accountable without blame. Working together. Serving God and each other. Being humble and kind while steadfast and strong. LOVE. God created marriage. His grace is what helped us through the last 32. "U" and "I" come first.